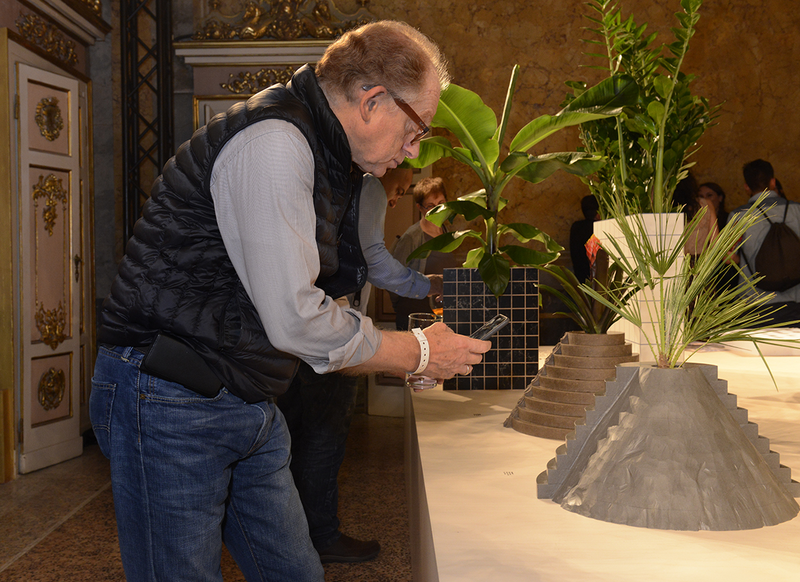 Last week Papush returned from Milan’s Salone del Mobile, where they produced the construction and launch of Ceasarstone’s “Movements” installation. 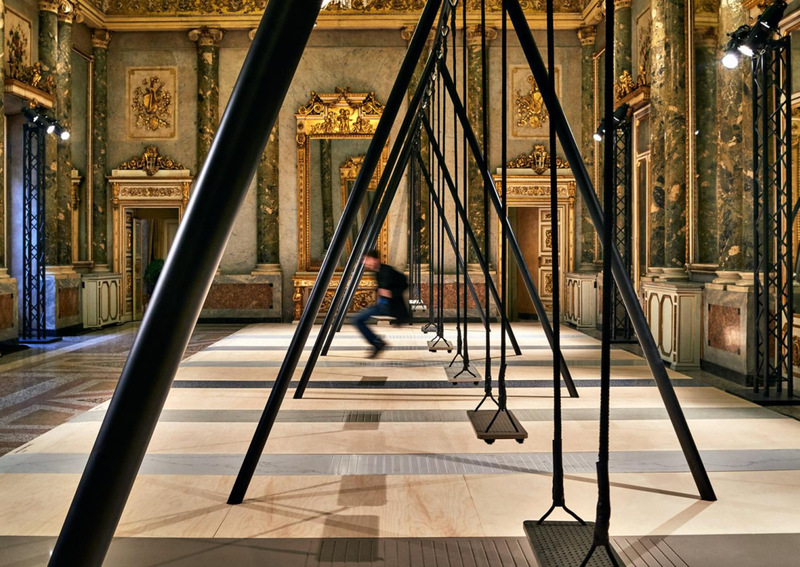 Ceasarstone’s “Movements” two-part installation was designed by Philippe Malouin and exhibited at Palazzo Serbelloni. 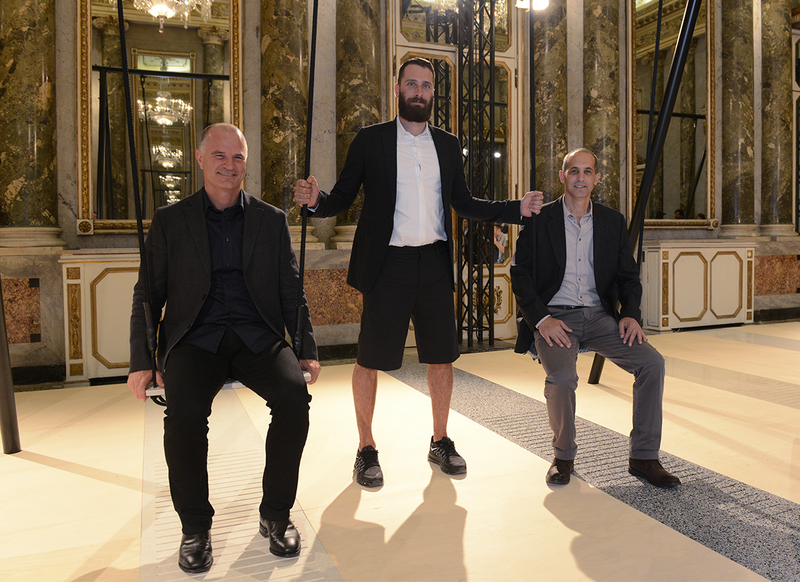 The first part was showcased in the Palazzo’s main lobby and consisted of 8 swings, with seats made of Ceasarstone’s 2015 surfaces collection. 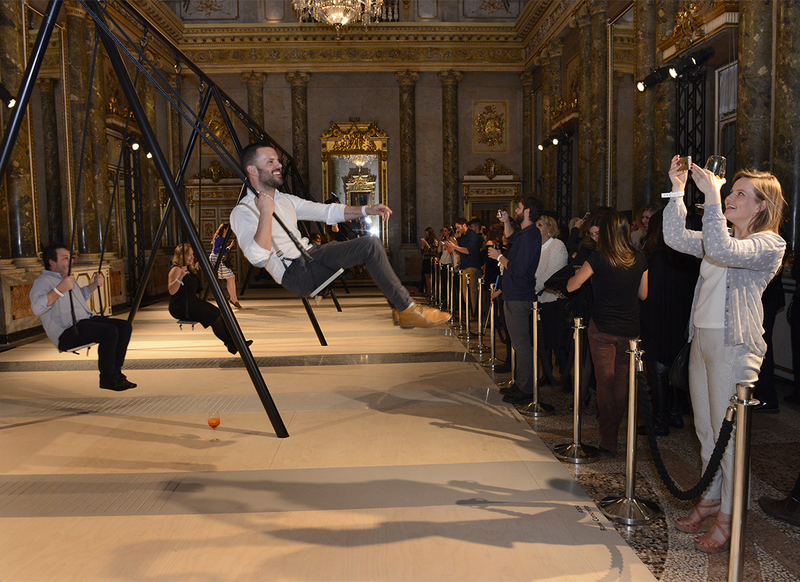 Visitors were invited to sit down and swing. 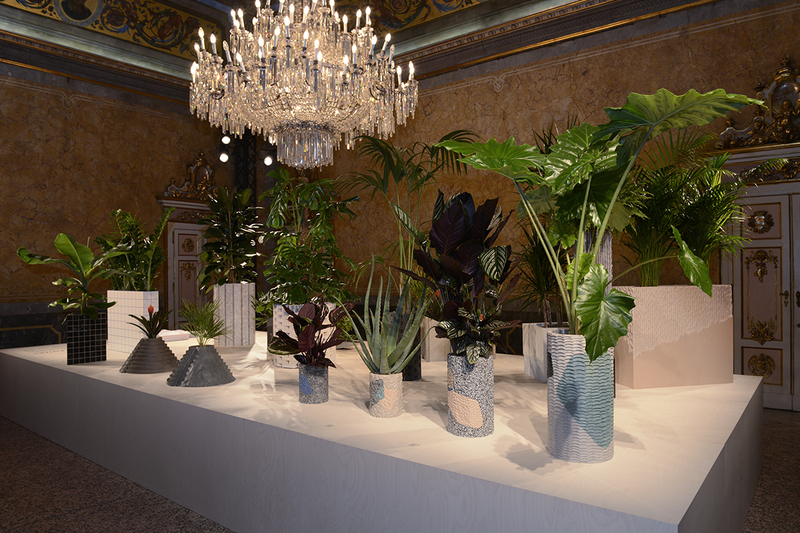 The nearby room hosted Ceasarstone’s jungle – a cluster of 20 plants that were housed in specially made pots based on vintage Ceasarstone surfaces, hand carved, polished and sculpted by Malouin. 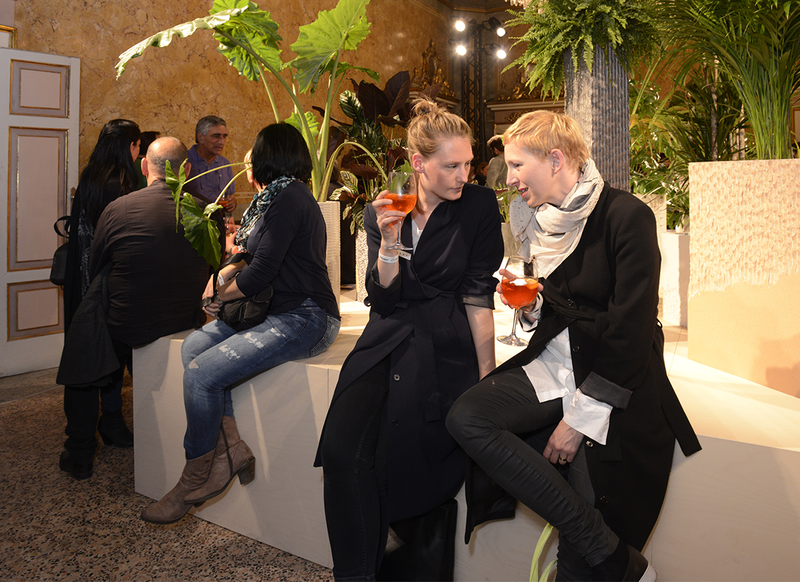 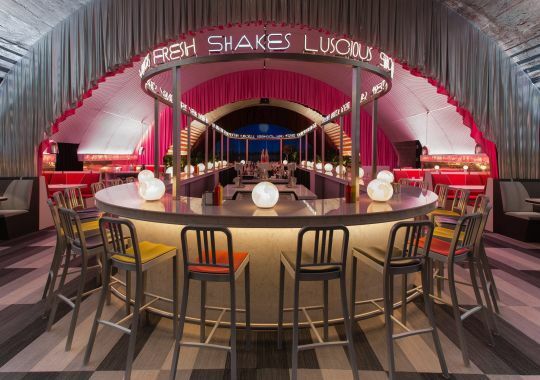 Papush produced every aspect of the installation’s construction, as well as the launch evening, that included a formal dinner and a party.